The glorious choir of the apostles praise Thee. The admirable company of the prophets praise Thee. Thy adorable, true, and only Son. And the Holy Spirit, the Comforter. And we praise Thy Name for ever, yea for ever and ever. O Lord, let Thy mercy be upon us, as we have hoped in Thee. O Lord, in Thee have I hoped, let me not be confounded for ever. 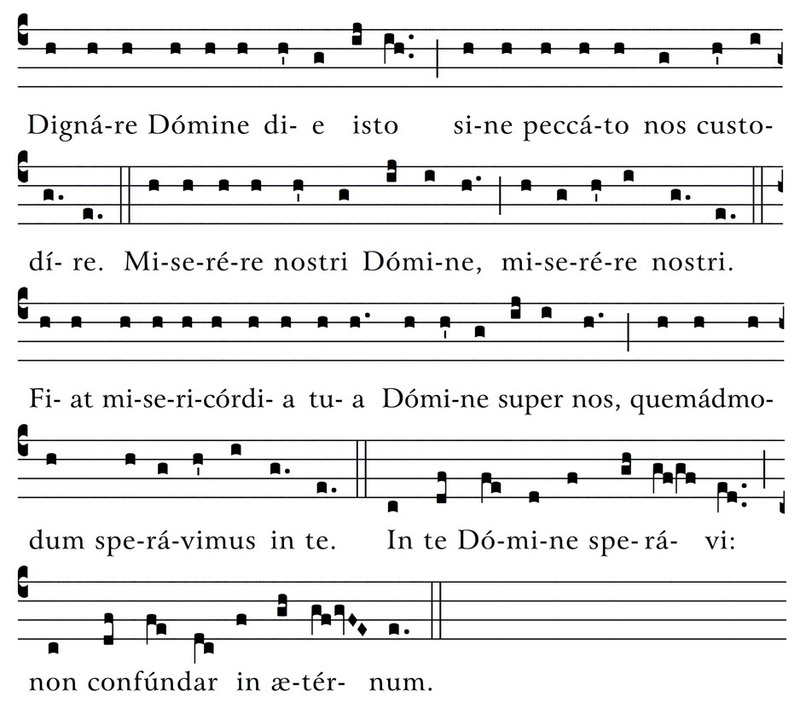 Suggested use: Sung during the Liturgy of Hours (note designated times vary, e.g., end of the Office of Readings) and for special occassions (e.g., consecration of a bishop, religious professions, publication of a treaty of peace).